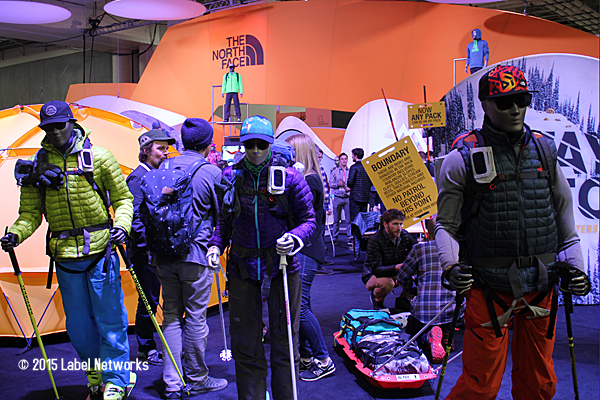 The North Face at Outdoor Retailer is clearly the kingpin of the show with the biggest booth and crowds. 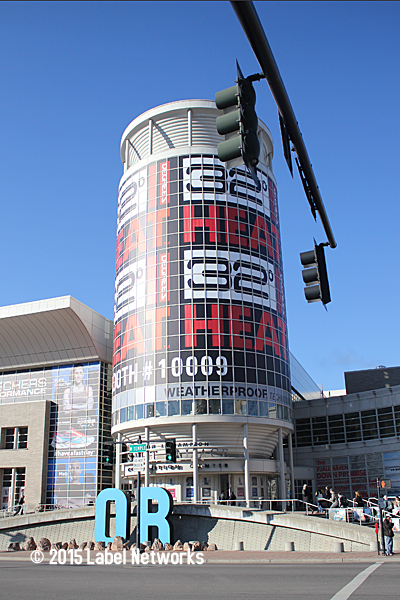 Outdoor Retailer at the Salt Lake Palace, UT, is the premiere outdoor trade show in the U.S., which featured 1,036 exhibitors, and an estimated 22,000 attendees over the course of 4 days running from January 20-24, 2015. Key themes this winter included the usual technical outerwear and gear, including backcountry skiing, rock and ice climbing, and avalanche safety, but also a huge dose of new fashion ranging from colorful classic puffy down coats, to new reflections for the urban outdoorsman and more directional pieces as found in the new area, Venture Out. All Mountain Demo at Outdoor Retailer at Solitude Ski Resort allowed attendees to demo alpine touring equipment, snowshoes, poles, and a variety of other gear. The show starts with an All Mountain Demo at Solitude Ski Resort up Big Cottonwood Canyon. Similar to years past, the on-snow tends to focus on more core backcountry pursuits for hardcores. But new buyers now tend to check-out ahead of time what they’d like to explore at the on-snow demo and are clearly moving away from skinny skis, preferring a mix of sidecuts and rocker technology, which can also be found in snowboarding. There’s no doubt that the alpine touring category is taking over and has become a key aspect of skiing that is pushing design in the sport. 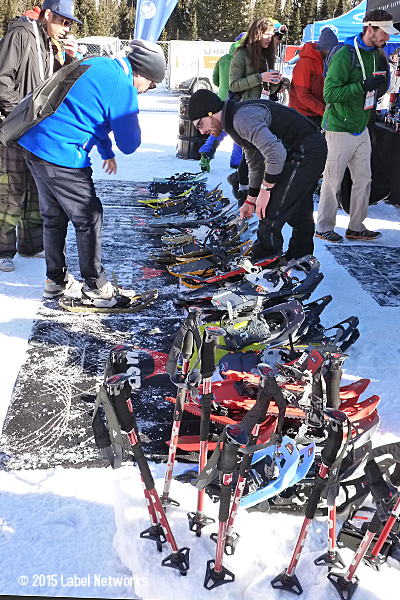 The All Mountain Demo also featured a number of snowshoe brands, avalanche safety gear, shovels, tech-driven ski poles, and a limited number of thermal wear. While there was a great deal to test and explore, for snowboarders the All Mountain Demo doesn’t have much to offer. It would have been nice to test some split boards (Voile was there, but there are more brands than that), boot and binding options, or helmets. 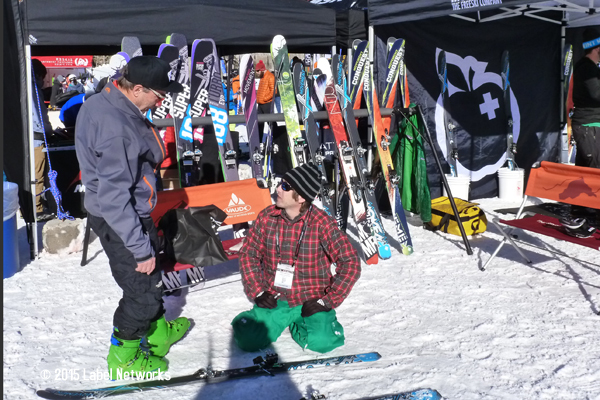 A variety of snowshoe brands demo-ed at Solitude. Such on-snow testing however will take place at the upcoming Snow Industries of America, SIA, trade show taking place January 28-January 31, 2015, in Denver and the following on-snow demo at Copper Mountain. 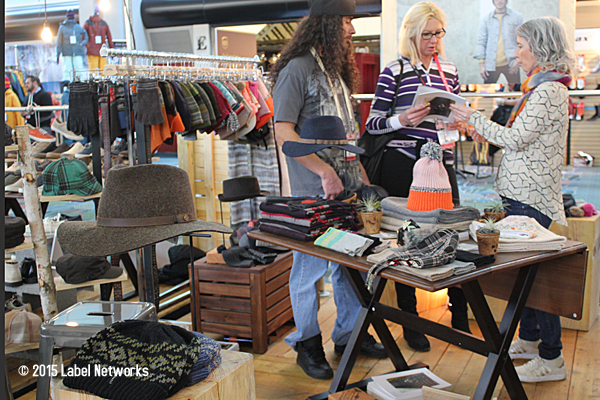 There is some interesting crossover going on now with Outdoor Retailer and shows like SIA and Agenda. 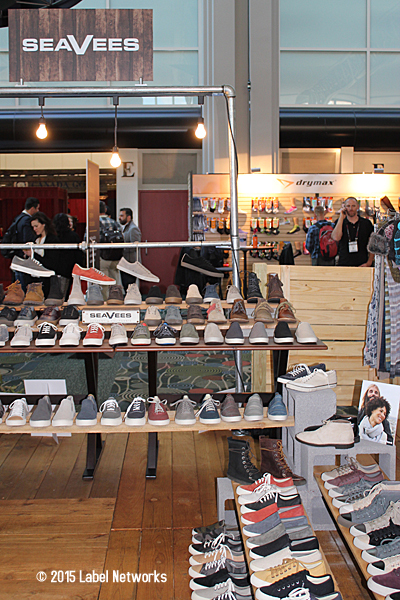 For example, while SIA attracts more of the snowboarding crowd, Outdoor Retailer’s summer show is attracting more of the surf brands and attendees. SUP has been a huge part of this movement. 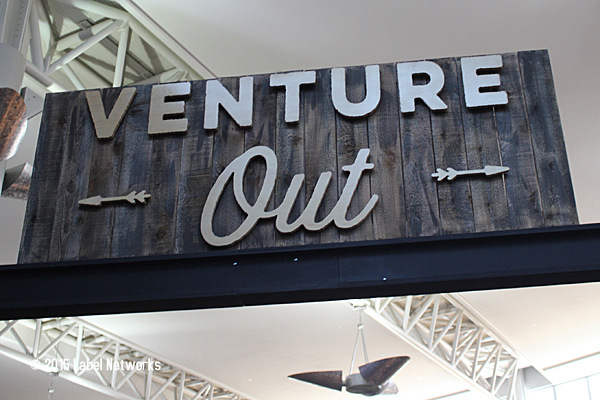 Some brands within the urban outdoorsman sector that are making up aspects of The Woods for example, at Agenda, also exhibited in the highly successful new area at Outdoor Retailer called Venture Out. Patterns and pictures in athleisure leggings are important aspects. 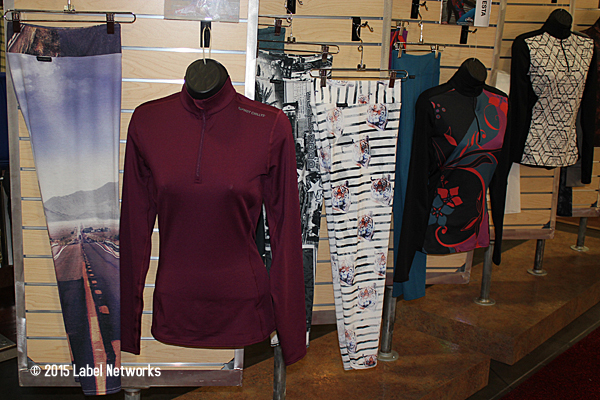 The other crossover is with the athleisure brands with more yoga-inspired and active lifestyle brands becoming a strong section of the Outdoor Retailer trade show. Brands such as Prana lead this trend, as well as Gramicci, Life Is Good, and eco-friendly yoga gear brand Manduka. There was also an interesting mix of running brands exhibiting, but not necessarily focusing on footwear, but more on their leggings, outdoor running jackets, and socks such as New Balance, Saucony, Skechers, and Brooks. 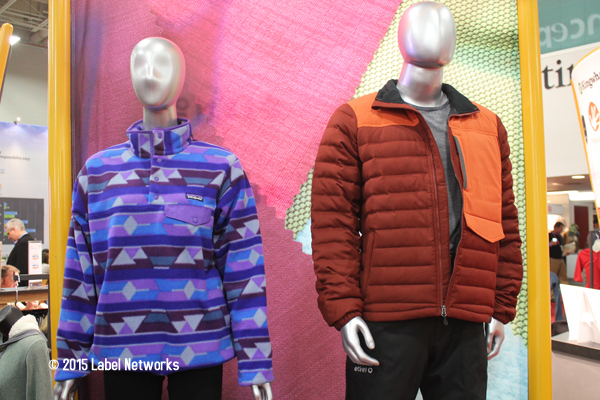 Brands like The North Face have a huge presence at OR and by sheer booth-size alone, they are out to prove that they are leaders in the outdoor space. 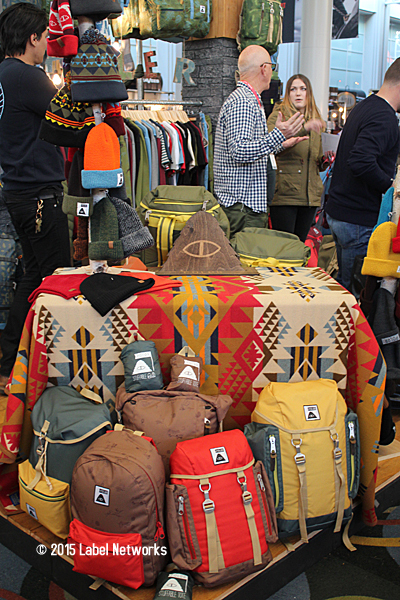 From tents to alpine apparel, mountaineering and alpine touring, the area was packed with attendees checking out the latest from this brand. This goes along also with the fact that it’s this show where extreme backcountry, mountaineering, and rock and ice climbing are showcased. Brands such as Black Diamond Equipment, for example, are an iconic staple. Scarpa, Petzl, and Osprey packs round out this area. Plaids among key patterns from Venture Out. 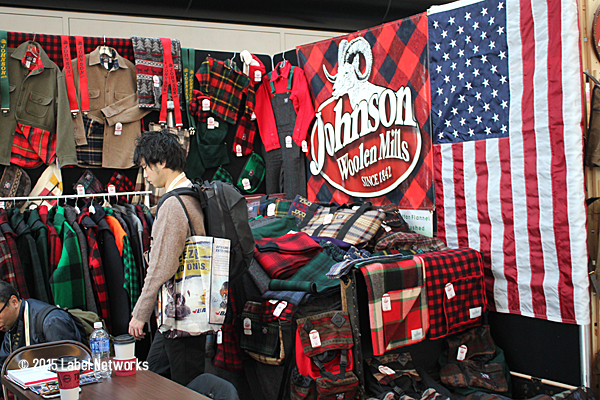 Heritage brands also have a strong showing at OR including Timberland, Smartwool, Polartec, High Sierra, Carhartt, Merrell, Baffin, Helly Hansen, Filson, Wolverine, and Dickies. OR also has a significant portion of brands that concentrate on sustainability. There was much discussion going on, for example, between the definition of sustainability and down between The North Face and Patagonia. Icebreaker, Indigenous, and Canada Goose were among this tribe. But interestingly, it was many of the new, smaller brands found in Venture Out that focused on issues of sustainability, indicating where trends are headed. 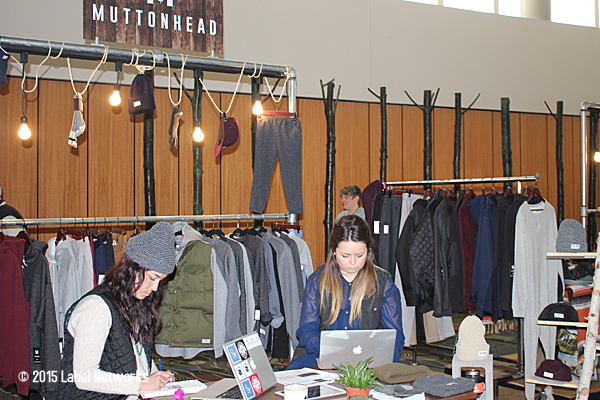 Venture Out, created by Mountain Lab, was where smaller, more fashion-driven and urban-centric outdoorsman brands were located, including a high percentage where sustainability was at their core. Poler has expanded greatly here compared with Agenda featuring fashionable camping supplies, tents, sleeping bags, and backpacks. 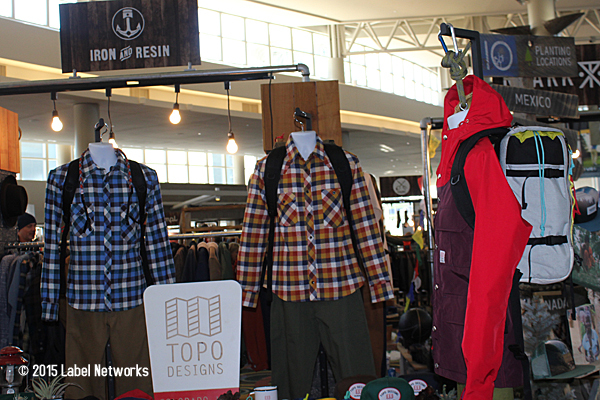 Ten Trees, Freewaters, Foresake, Hybrid Green Label, Locally Grown, Topo Designs, Duckworth, Seavees, Tentree, Iron and Resin, Parks Project, and Penfield were all featured in this area. 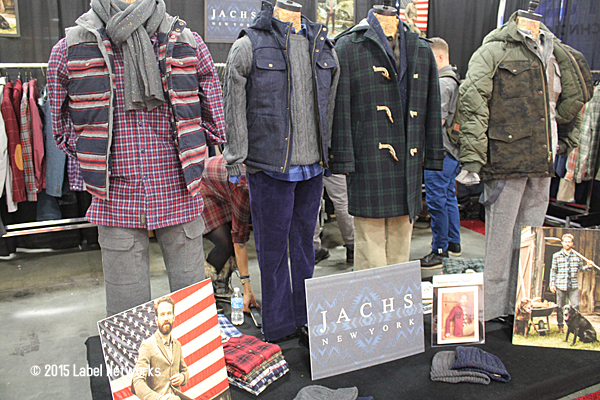 From denim, plaids, new directions in hiking boots, backpacks, hats, and outdoor-inspired apparel, this was a key place to enjoy the show. 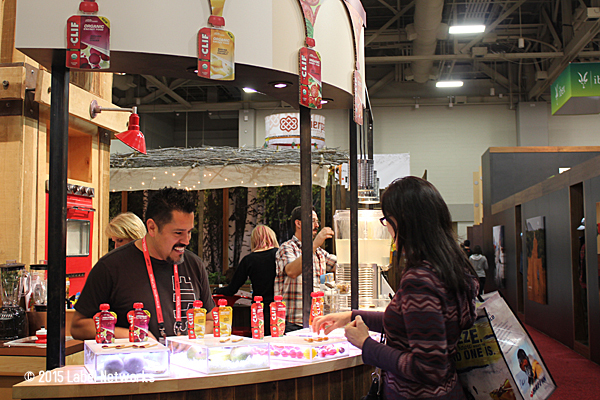 The picnic table lounge area, outdoorsy feel with trees, and pallet walls and art transformed this part of the trade show into a reprieve from the convention center vibe. 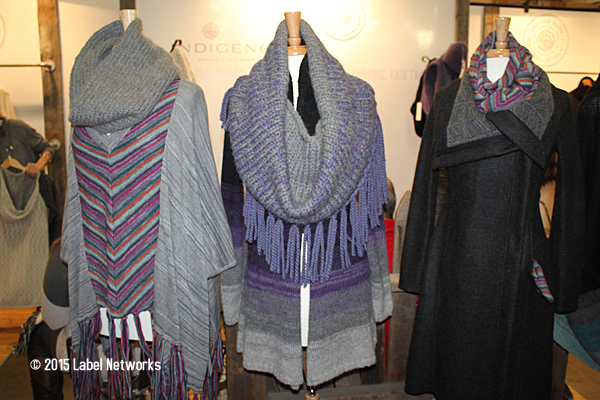 Indigenous is among many brands that are bringing aspects of sustainability and style of the OR show. This was also where The Range magazine featured their seminar on the Modern Outdoors Woman which was well-researched and well-attended. Themes included the importance of integrating brands for the new woman consumer who is interested in the outdoors but see it more as an emotional bond with nature rather than on a competitive platform. It also showcased the fresh look-books and marketing campaigns that had styling coming from brands that seek advice and professionalism from some of the top fashion stylists and photographers. The Modern Outdoors Woman conference at Venture Out was packed. Presented by Range Magazine. 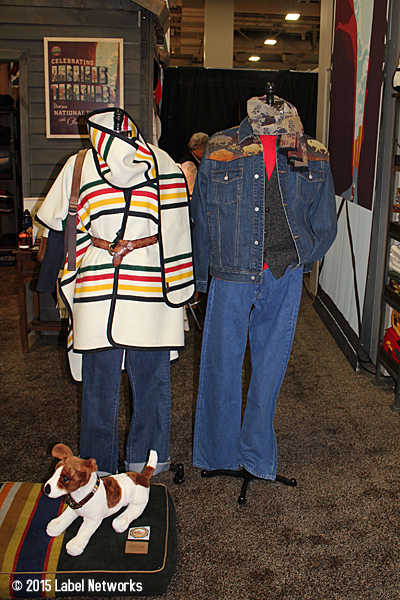 Retail also needs to adjust to accommodate not only the new Modern Outdoorswoman, but as illustrated in another panel in the New Product TV lounge, on the Modern Outdoorsman in general. It was clear that the new guy in adventure may be far more interested in making sure their outdoor style matches their lifestyle. They are also tech-driven, savvy, and are looking for brands and retailers that capture these aspects. Palladium and Incase, which both exhibited new collections for the first time at OR this winter, are examples of this type of person. Palladium boots has expanded and continues to be a great example of the crossover sneaker boot brand for someone interested in the outdoors, but sees it in a different way—it could mean exploring old parts of a city or abandoned underground tunnels. 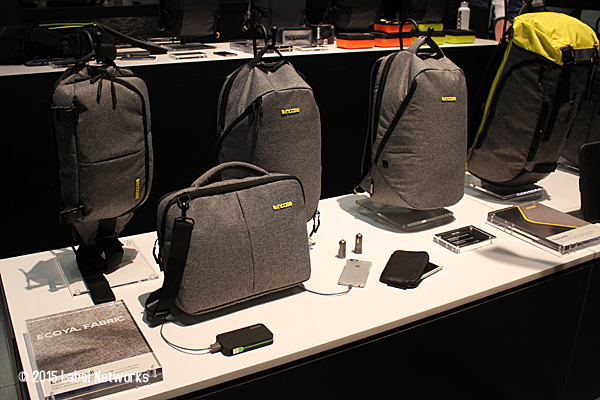 Incase’s Ecoya fabric bags and backpacks push utility with style and sustainability. For Incase, it’s stems from someone who appreciates the Apple-aesthetic and thinks of their backpacks as an extension of their lifestyles. Instead a loads of straps for carabiners, it’s more important to have departments for one’s tablet, iPhone, or GoPro set-up. It takes into account the themes of action, sound, and vision. Meaning that this buyer is active and inspired, but from a different viewpoint which includes style, functionality, and music, for example, as a key component to their experiences. One thing that you do see way more at shows such as Agenda and even at SIA (within the snowboard brand areas) are keen attention to music listening devices, including designer headphones, wired jackets, and tech-driven backpacks for the tech, selfie, and GoPro generation. 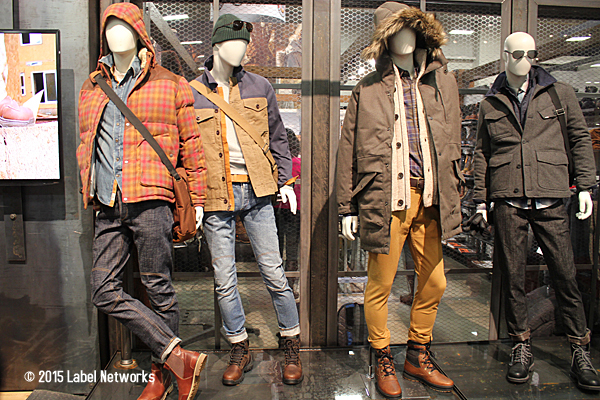 Outdoor styles range from heritage to technical, bright and colorful, and urban woodsman plaids and muted. 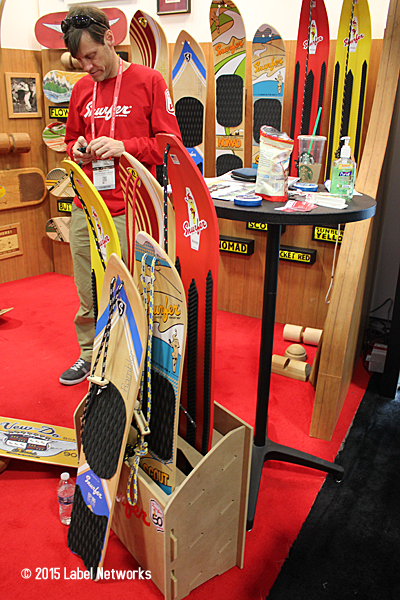 While backcountry and no-resort oriented adventure is a big part of the outdoor industry and represented in huge doses at this show with the growth of alpine touring, it couldn’t be further from the growing tribes of urban skiers and snowboarders, which are steeped in skate crossover, utilizing the urban detritus of one’s environment, and making sure you get the footage of various covert achievements. This movement just isn’t a part of the OR aesthetic, if it will ever be. 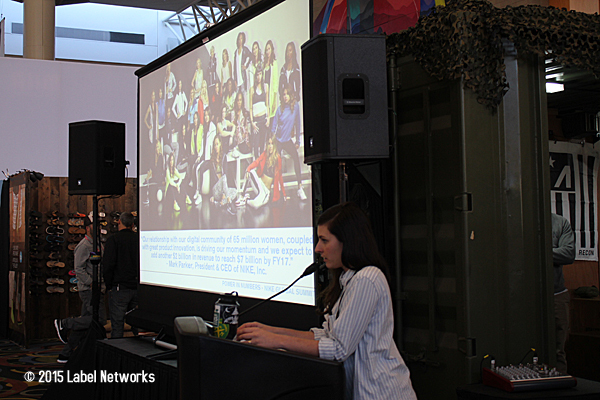 Lack of diversity and women in the outdoor industry were important themes. At the Outdoor University which takes place throughout the show with a variety of seminars, this came up often. When walking the show, it was clear that the majority of the demographic were middle-aged white guys. This is a huge problem for the outdoor industry and is still being addressed. 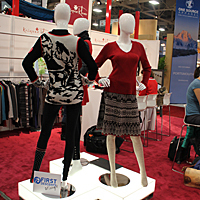 Adventura at OR among the select women’s brands exhibiting. Fortunately, REI and the Outdoor Industry Women’s Coalition announced a collaboration that is providing more resources, education, and funding for women entrepreneurs and women adventures in the outdoors. Many brands have also taken a pledge to encourage and engage more women in leadership roles within their companies such as Burton Snowboards, Active Interest Media, Advanced Sports–Fuji Bikes, American Alpine Club, Backcountry, CamelBak, The North Face, NPD Group, Outdoor Research, Patagonia, REI, SmartWool, W.L. Gore & Associates, and Wolverine Worldwide. 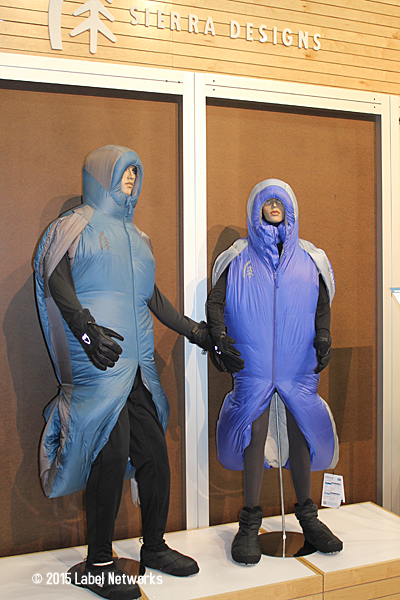 Overall, Outdoor Retailer Winter Show has changed for the better. This is where you’ll also see a great number of outdoor non-profits ranging from Sierra Club to Boy Scouts of America to a number of National Park organizations. 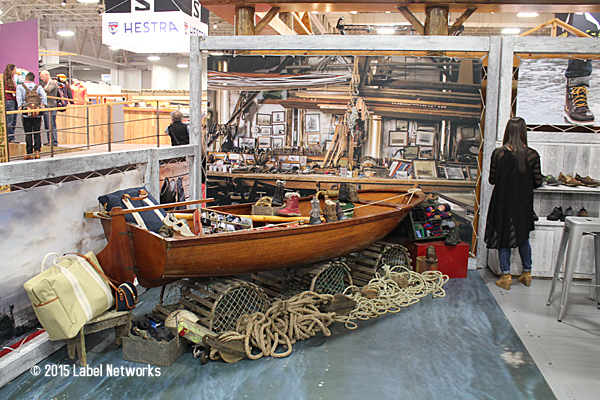 There is greater interest in the outdoors than ever before in the United States, which is fortunate for this trade show. However there are significant changes underway coming from a new, more diverse, tech-savvy generation that is redefining what their meaning of the outdoors is. Keeping up and pushing trends ahead of the marketplace tends to be a challenge for industries steeped in tradition. 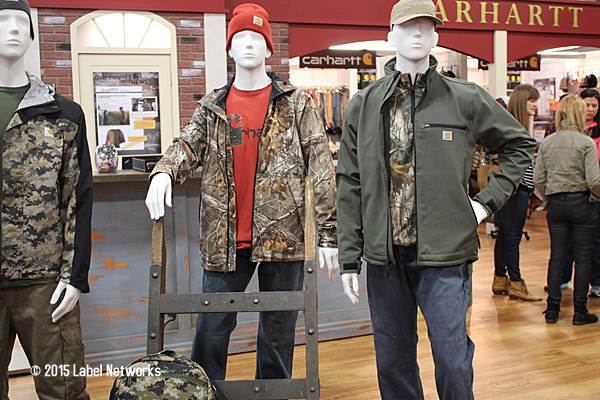 Carhartt is among the most popular of the workwear inspired brands at the show. Clifbar’s bar is a must-stop for snacking on the latest bars in their nutritious collection. 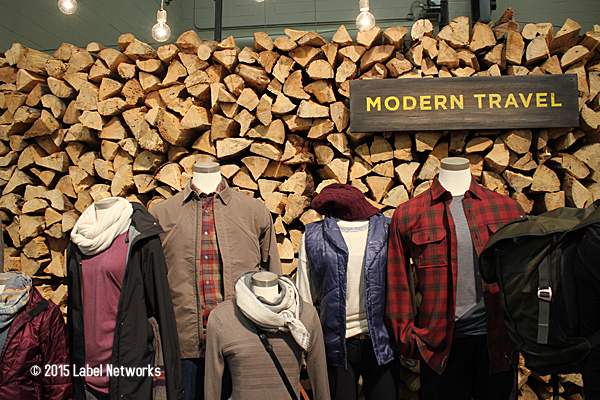 Woolen Mills brings back the heritage and Americana vibe. Venture Out was a new area and well received. Venture colorful backpacks prove a range of styles and ideas. The Snurfer is making another go of it. 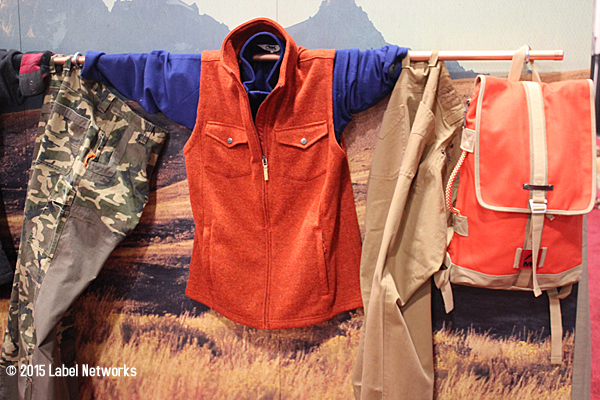 Patagonia is the iconic outdoor and sustainable brand. Muttonhead featured mix of the new urban woodsperson. Penfeld is a classic and chose to exhibit in Venture Out. 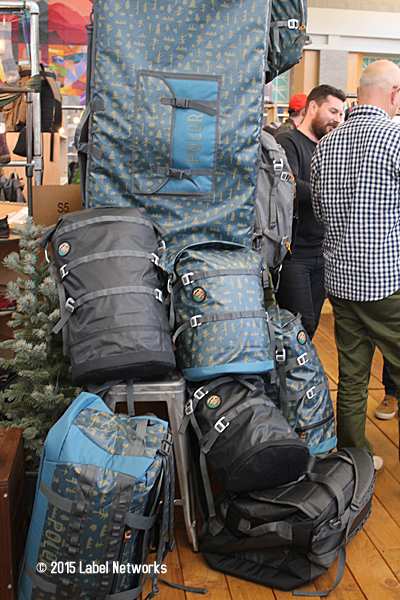 Poler had an extended collection featuring more backpacks and bags as well as tents. Pendleton has been doing more collaborations this season including teaming up with National Parks. There aren’t many women’s brands, but the ones on hand tend to be fashion-forward with Merino wool dresses, skirts, tops. This is Krimson Klover. Beautiful! Camo, organes, and the hunting vibe are powerful parts of this show. 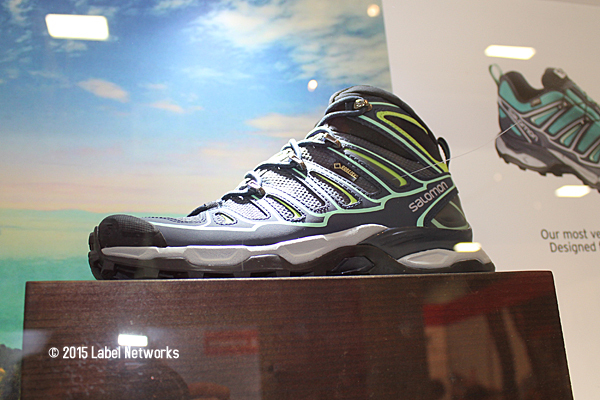 Latest from Salomon featuring technical sneaker boots. 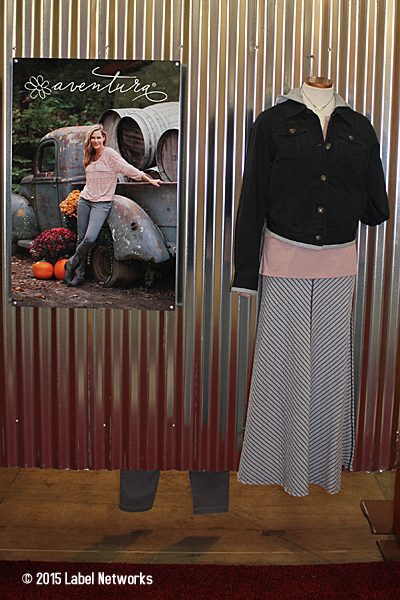 Jachs offers more style and directional pieces. 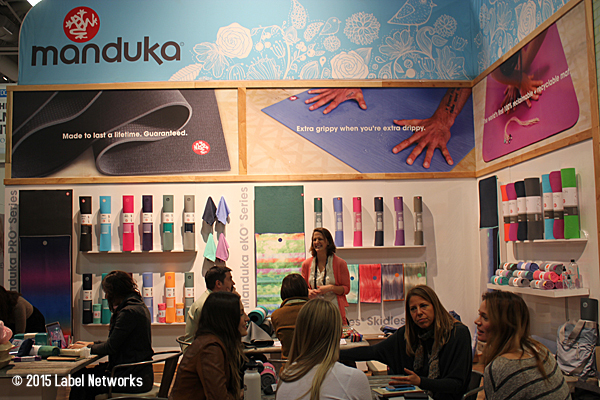 Manduka was busy with people checking out the latest in sustainable yoga mats and gear. Sperry Top-siders were among a few brands with the traditional nautical feel. 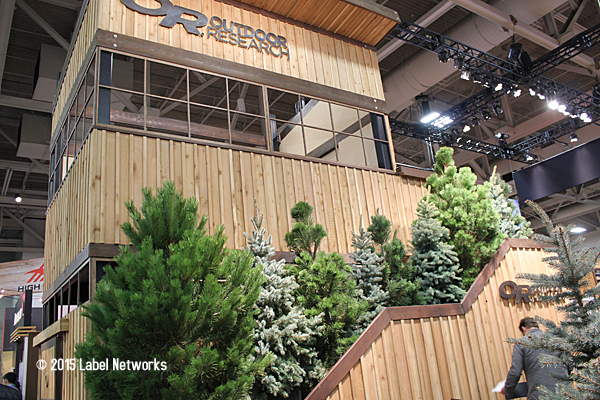 Outdoor Research’s huge booth included a small forest. Modern Travel for the modern outdoors person. The latest in hats. 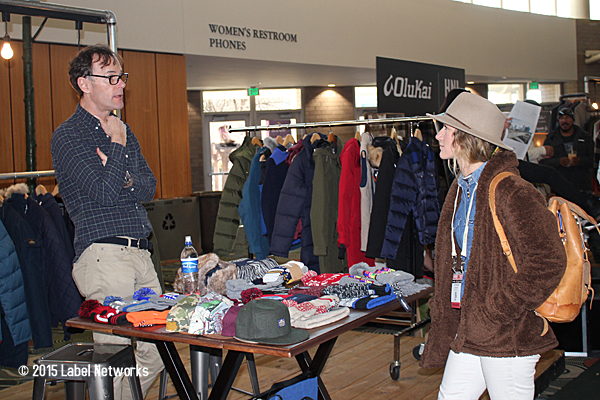 Many styles also discovered up the mountain at Park City during Sundance. Seavees from the Venture Out area. Outdoor Retailer at the Salt Lake Palace, UT. Stay tuned for more images from the show.